After declining 0.3% in 2017, there was a further 2.9% decline in the first quarter of 2018 over Q1,2017. 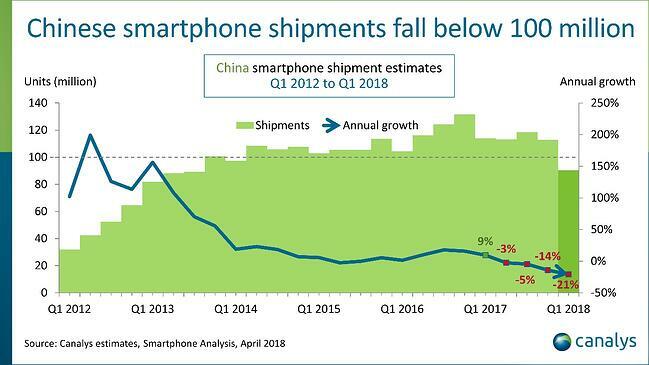 The biggest driver of the downturn is the Chinese market, which consumes roughly 30% of the world's smartphones. Demand in China have suffered its biggest decline ever, plummeting more than 21% in the first quarter of 2018 compared with the same period last year, according to a new report from research firm, Canalys. The slowdown has hit Samsung sales in China. The company sold just 2 million devices in China in the first quarter of 2018, down more than 50% compared to the same period last year. Apple also lost ground slipping from fourth to fifth place in the market, Canalys said. Analyst, Mo Jia said Apple has a strong image, but their product and innovation is restricted to the very high-priced iPhone X and most Chinese cannot afford that price so they switch to Huawei or Oppo. 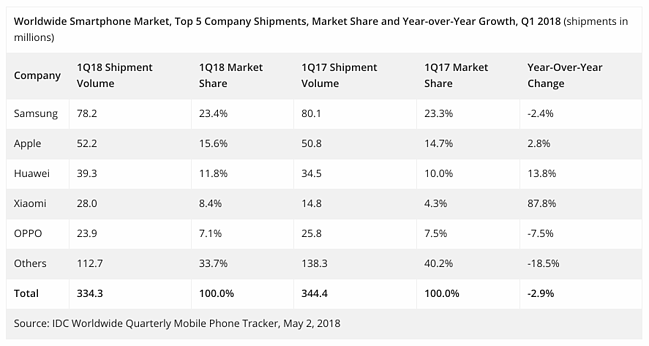 India is bucking the trend for declining smartphone sales with volumes expected to grow 14% and 16% in 2018 and 2019. Chinese manufacturers are expected to continue their strategy of selling large volumes of low-end devices by shifting their focus from China to India. So far most have been able to get around recently introduced India import tariffs by doing final device assembly at local India manufacturing plants. As for components, almost everything is still being sourced from China. Outside of Asia/Pacific, the biggest regions for growth will be the Middle East, Africa, and Latin America. All three regions have relatively low penetration rates and plenty of upsides. The other catalyst to watch will be the introduction of 5G smartphones. IDC predicts the first commercially ready 5G smartphones will appear in the second half of 2019 with a ramp up across most regions happening in 2020. 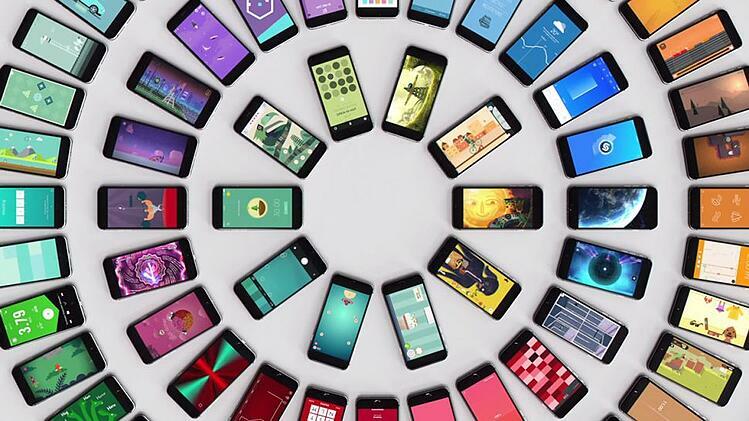 IDC projects 5G smartphone volumes to account for roughly 7% of all smartphones in 2020 or 212 million in total. The share of 5G devices should grow to 18% of total volumes by 2022.